Profile Response: Fourth Grade Students, BASIS Goodyear, Goodyear, AZ | How Will We Live Tomorrow? 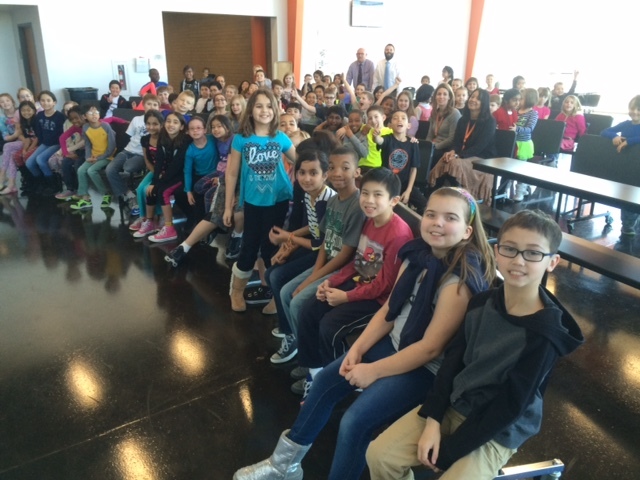 I was invited to speak with the fourth graders of BASIS Goodyear about my trip and my question. Most people under age 12 respond to my question literally: they tell me what they plan to do in the next twenty-four hours. That wasn’t the case at BASIS. Perhaps it was because I asked for responses after talking about my route, telling stories from the road, and explaining my daily routine. Perhaps it was because of the way a group conversation builds upon itself. Most likely, it’s because I witnessed BASIS students acting in more sophisticated ways than their peers. They’re disciplined. They’re aware that the world is large and complex, but that complexity isn’t frightening. Fortunately, they’re also still ten years old, so some of their responses border on silly. After our discussion and the many questions that followed, I compiled their responses in the order the students offered them. I was impressed at the variety of ideas; one did not necessarily hinge on the previous. I was struck how these students represented a similar range of responses I receive from adults. They touch on family and technology, faith and change. This entry was posted in Responses and tagged BASIS, BASIS Goodyear, Goodyear AZ. Bookmark the permalink.